The perfect swappable handle for your ceremonial scissors. This accessory will allow for some playing with colors at your next event. The handles are compatible with all 25 inch ribbon cutting scissors sold on the website. Scissor blades, screws and bolts are not included with your purchase as they are included with the main pair of scissors purchased. Ribbon cutting events have become increasingly important to grand opening and groundbreaking ceremonies. These types of events provide organizations with an opportunity to leave a mark on the audience, the organizations are focusing more and more on the visual aspect of the events. Accessories like ribbons and ribbon cutting scissors are not only essential to the ceremony, but when utilized with the right color combinations, can also prove to be strikingly memorable. The Light Blue Ceremonial Scissors Handles is one such accessory you need to achieve the above. The handles are made of light blue plastic, and compatible with our 25 inch ceremonial scissors. The handily swappable design enables you to make use of its pleasant color and add some liveliness to your ceremony! 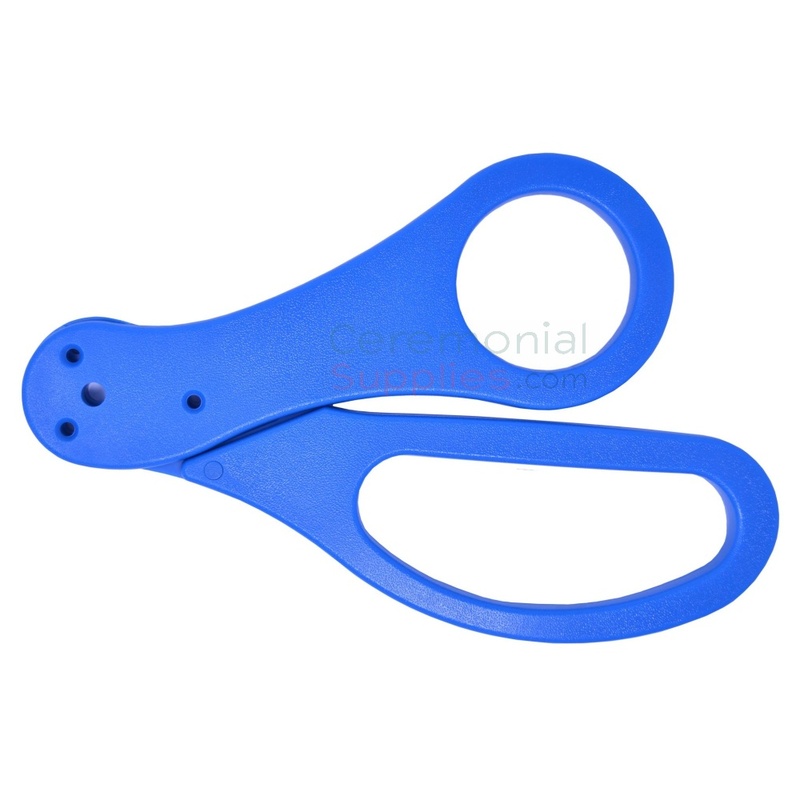 Peruse CeremonialSupplies.com’s selection of scissor handles for more colors to choose from.